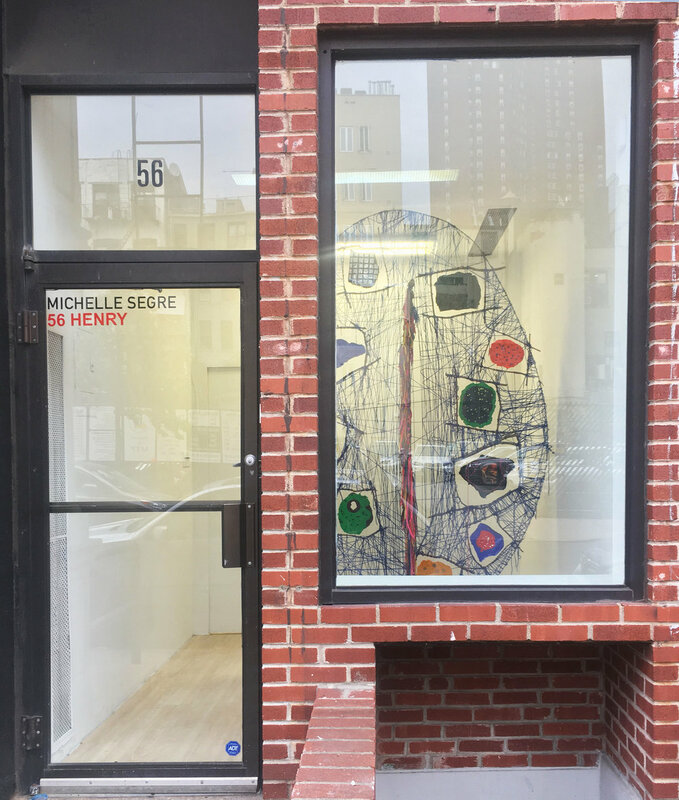 56 HENRY is delighted to present Satellite, an exhibition of recent sculpture by Michelle Segre. Comprised of a single work suspended from the gallery ceiling, the exhibition will be on view from September 13 through October 30, 2016. Satellite consists of two vertical planes that intersect at a right angle. 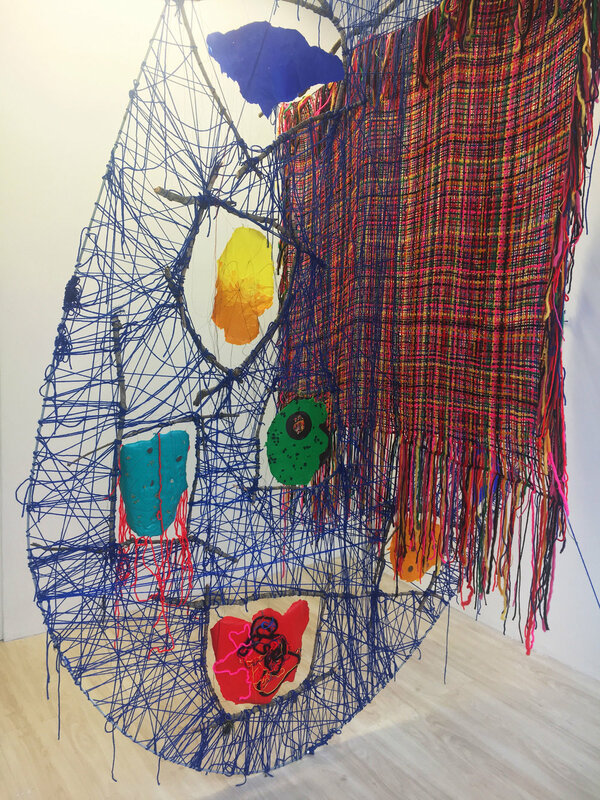 One is woven from bright, multicolored yarn, and hung like a curtain from a tree branch. 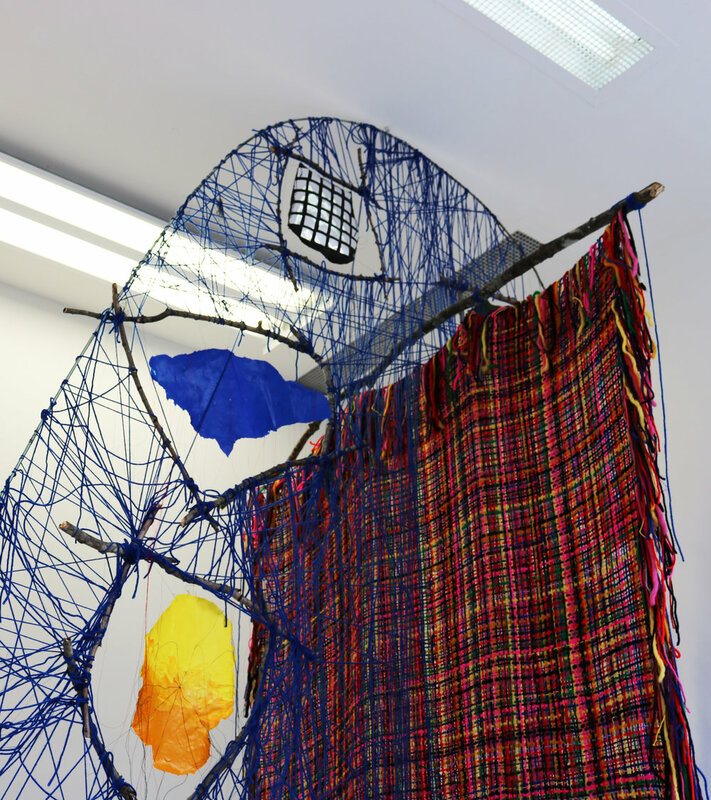 The other is formed with a large metal hoop, crosshatched and netted with lines of blue yarn. A series of twelve windows reinforced with twigs punctuate the oval, and each window holds a vibrantly colored form. The windows correspond roughly to the months of the year, arranged in a circle around the woven plane. The two shapes bisect each other at their midpoints to create four wedges of activated space, held on two sides by high walls of yarn. 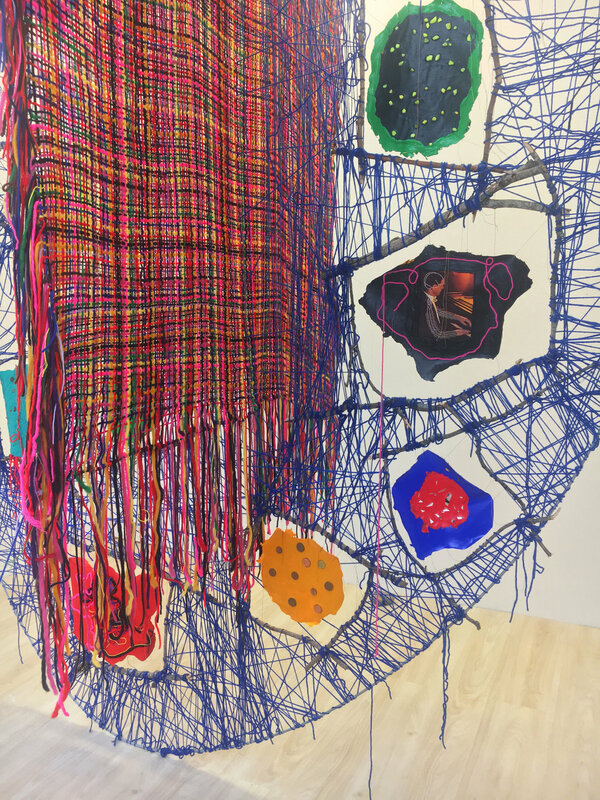 Segre's work plays in the fertile ground between order and disorder. Her sculptures often incorporate industrial elements balanced by organic materials, but Satellite goes beyond this materialist distinction. Its title suggests an ambiguity between the natural and the artificial, for the term itself makes no distinction: Sputnik and the Moon are both satellites. But like an artificial satellite, Segre has encoded her sculpture with information and sent it into orbit – the very disordered space to which the calendar and the zodiac give order. Michelle Segre lives and works in New York City. 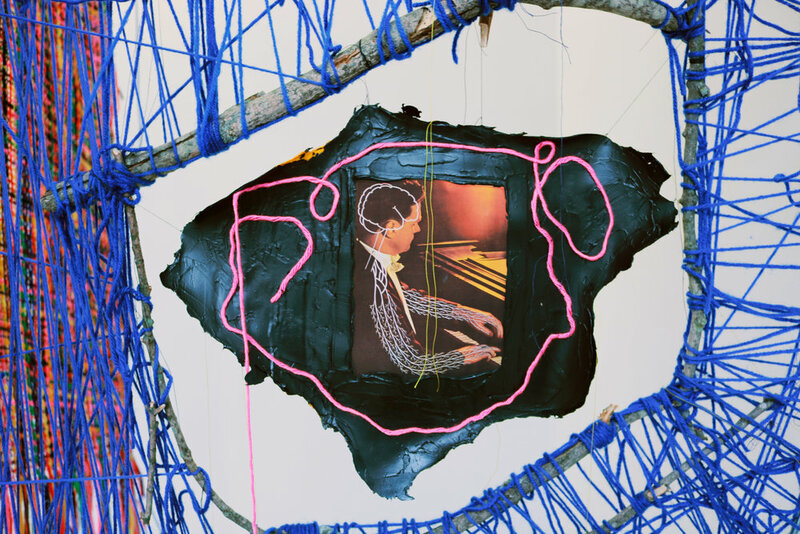 Her work has been the subject of numerous solo presentations in New York and abroad, most recently at the Rosenwald-Wolf Gallery at the University of the Arts, Philadelphia. Her work is held in the collections of many public institutions, including The Museum of Modern Art, and The New Museum, New York, the Katonah Museum of Art, and the Tang Teaching Museum, Saratoga Springs. 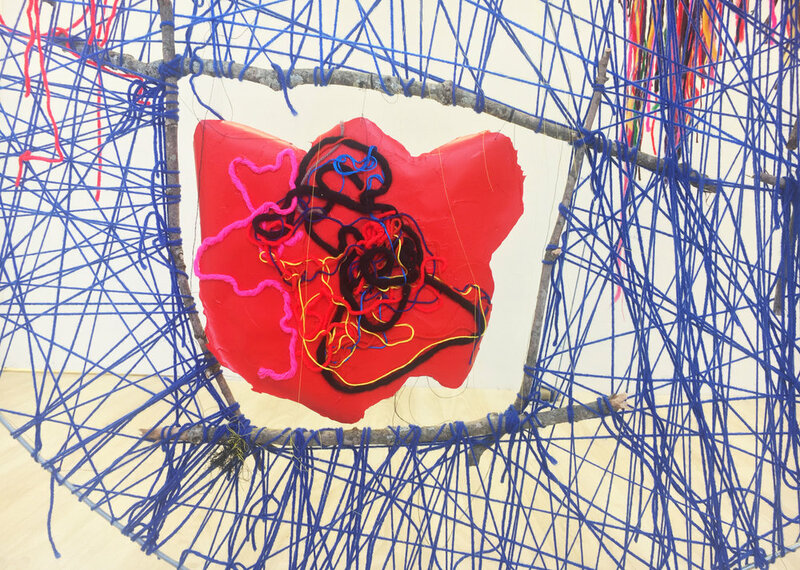 In 2016, Segre was granted fellowships by the John Simon Guggenheim Memorial Foundation, and the Civitella Ranieri Foundation in Umbria, Italy, where she began work on Satellite. Segre is represented by Derek Eller Gallery, New York. Exhibitions at 56 HENRY are visible 24 hours a day. Gallery doors are open to the public Thursday through Sunday, 12:00 – 6:00 pm. For more information or images related to the exhibition, please contact Ellie Rines at (646) 858-0800 or info@56henry.nyc.